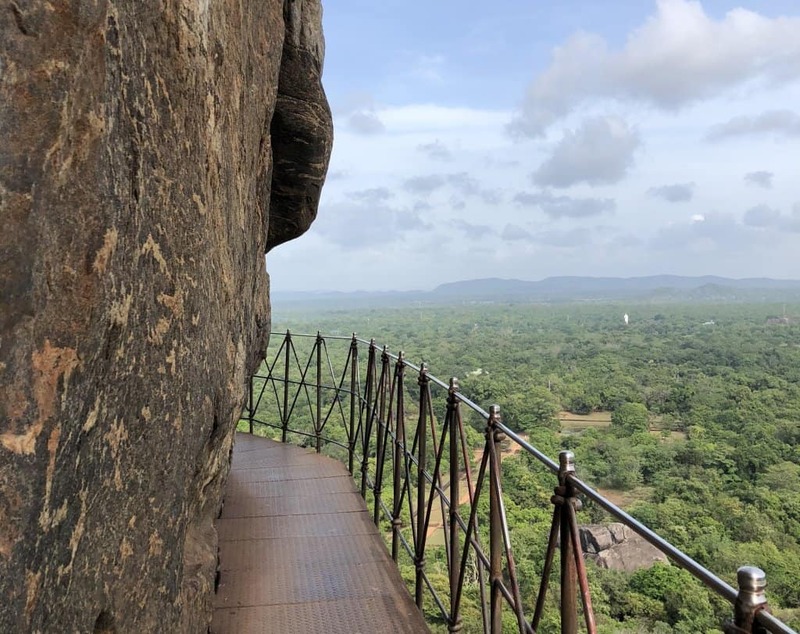 Sri Lanka itinerary East Coast community post by Jane ~ Sri Lanka is a beautiful country, rich in culture and diverse in landscape. Travelling here with kids is a really viable option due to the range of activities, resorts and landscapes on offer. It is fast becoming the destination to explore due to its accessibility and unique things to do. Beaches, temples, wildlife…there really is something for everyone in Sri Lanka. 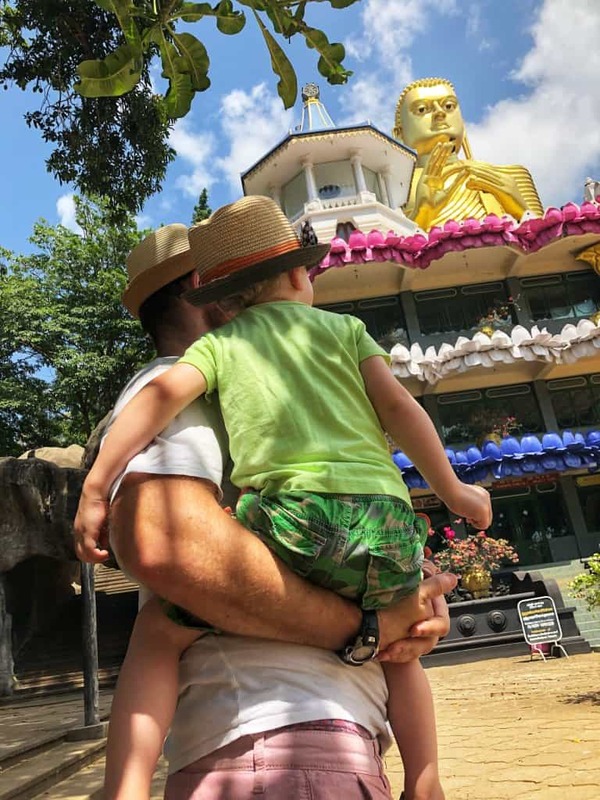 My husband and I visited Sri Lanka on our honeymoon 5 years ago and we were keen to go back with our 2 year old. On our honeymoon we stuck to the east and south coast and explored this hill country. However, this trip was with our son was in July when its monsoon season in the southern half of the country. We decided to head over to the east coast and made a few stops along the way to take in the Cave Temple, Lion’s Rock and a safari. 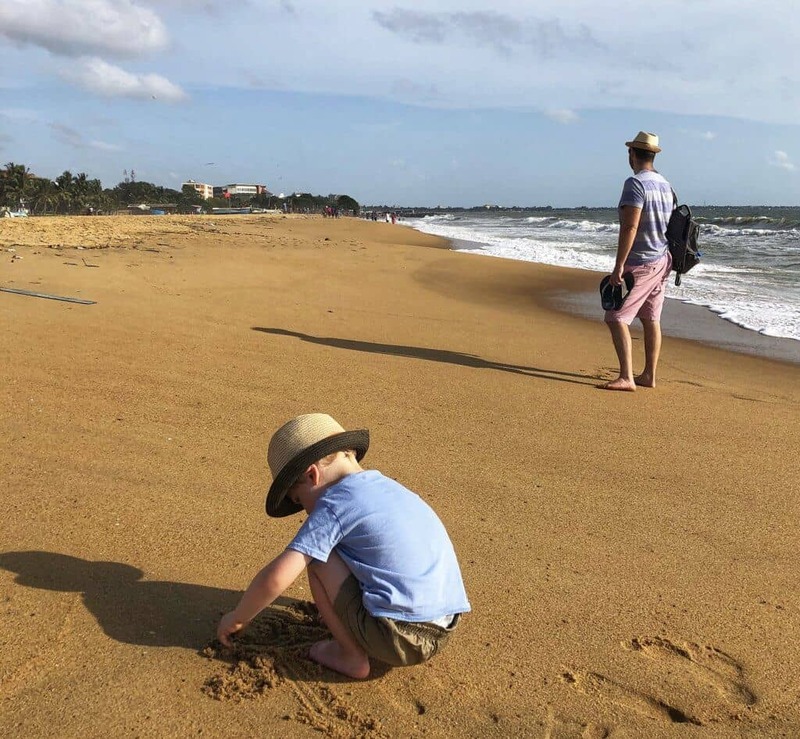 Here is our Sri Lanka east coast itinerary with or without kids, starting in Negombo, stopping in Dambulla, and ending in Passikudah. We decided we wanted to acclimatise to the country and stay put for a few days when we arrived. Negombo is a beach town really close to the airport which has plenty of accommodation options. We had a night flight from London which arrived into Sri Lanka around 3pm local time. This was fantastic for my 2 year old son as he slept most of the way over. When we landed, we went straight to our hotel, Jetwing Lagoon, famous for their 100 meter pool. We spent the rest of the afternoon at the hotel relaxing before we all crashed out. 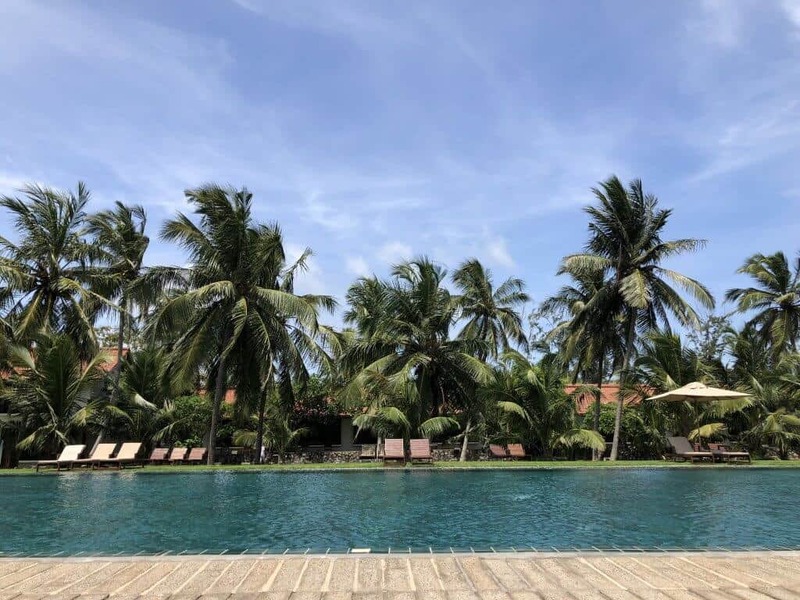 Jetwing Lagoon hotel is situated slightly out of the hustle and bustle of Negombo town, between the beach and the lagoon. The site is really calm and quiet compared to the busy town centre. Jetwing hotels are known for their sustainable approach to hospitality – no plastic, renewable energy sources, and investing in local communities. There are plenty of hotel options, but the ethos of the Jetwing Group is really inspiring. The staff and facilities at this hotel were both fantastic, not to mention the amazing food. The pool is the stand out feature of this hotel because it is 100 meters long! Our room was light and airy and had a lagoon view. 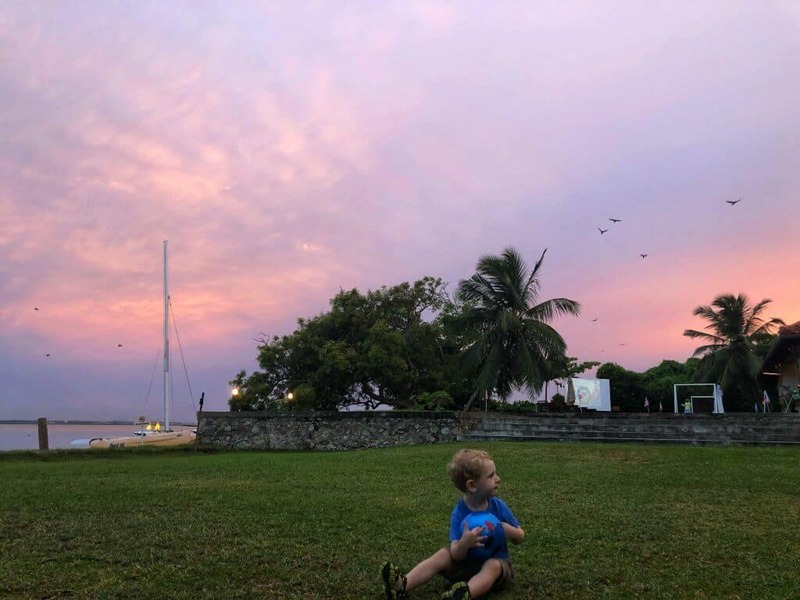 There is a large grassy area next to the lagoon, perfect for bird watching during sunset! We ventured into Negombo on our second day to check out their famous beach. It was a 10 minute tuk tuk ride from our hotel into the centre of Negombo which we all enjoyed. There is a beautiful Hindu temple on the way into town which we would have loved to explore but it was closed when we drove past. Once we got Negombo, we went straight to the beach and it is vast. 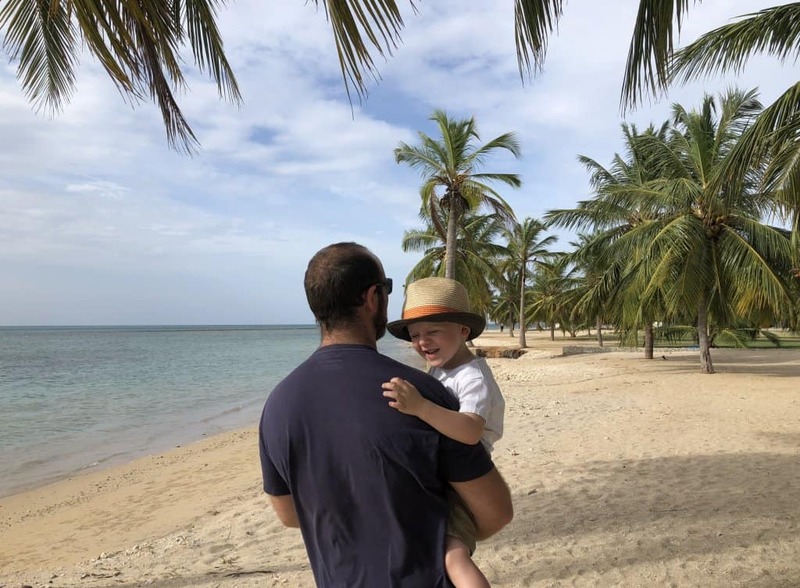 As any parent with a toddler knows, a beach is their happy place. Our son was more than happy to dig about in the sand and hunt for shells. 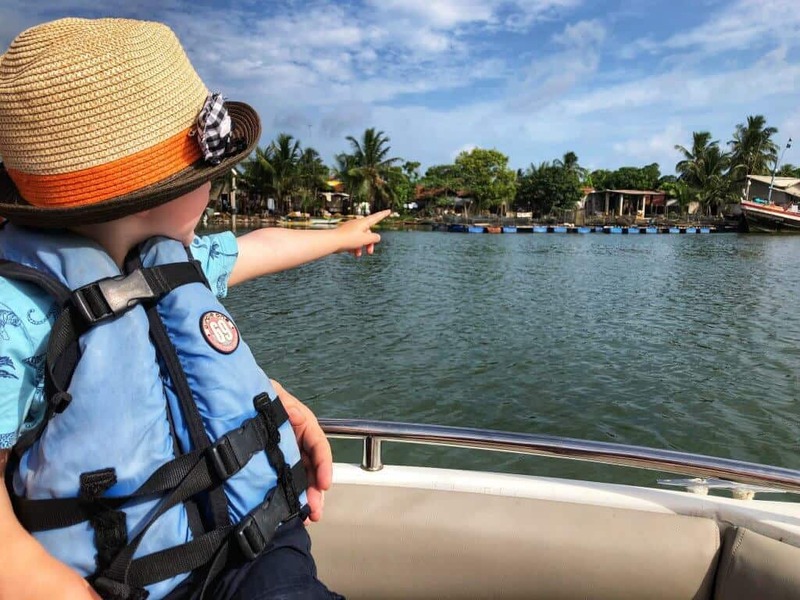 On our final day in Negombo we took a speed boat trip out across the lagoon. This was great fun because we got to see the local fishing villages around the lagoon and lots of wildlife. My son particularly enjoyed stopping at an island to feed the monkeys. Jetwing Lagoon has its own water sports centre and they arranged this trip for us. We opted for a 30 minute trip because we didn’t know if our son would like it. Well, he loved it and could have easily spent longer out on the lagoon. When looking for hotels in Dambulla, we decided to continue onto Jetwing Lake when we left the East coast. Dambulla is in the middle of Sri Lanka and about a 3 hour drive from Negombo. We did what lots of tourists do in Sri Lanka and hired a car and it cost us $70USD. Dambulla is well situated for lots of sightseeing and a rough half way point to the East coast. 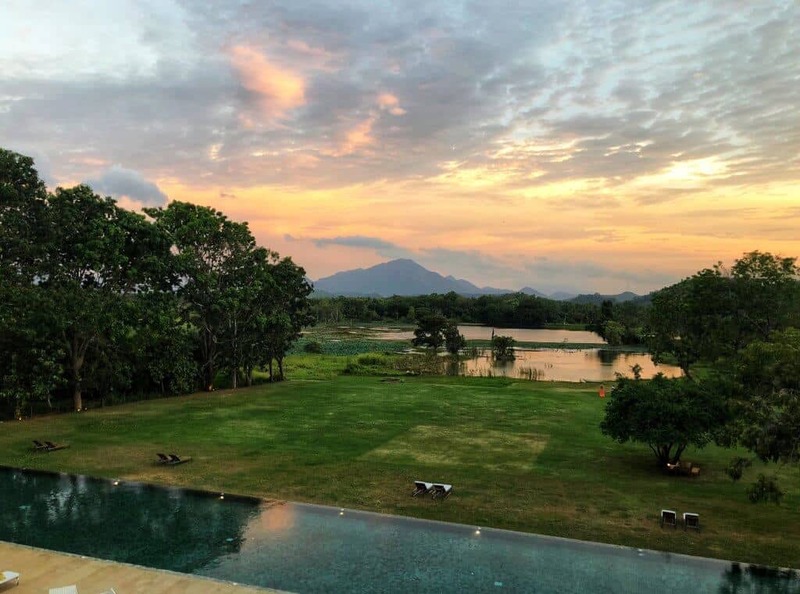 The hotel is situated just outside of Dambulla in the countryside and overlooking the hills. The location is amazing and the view from our room was breathtaking. 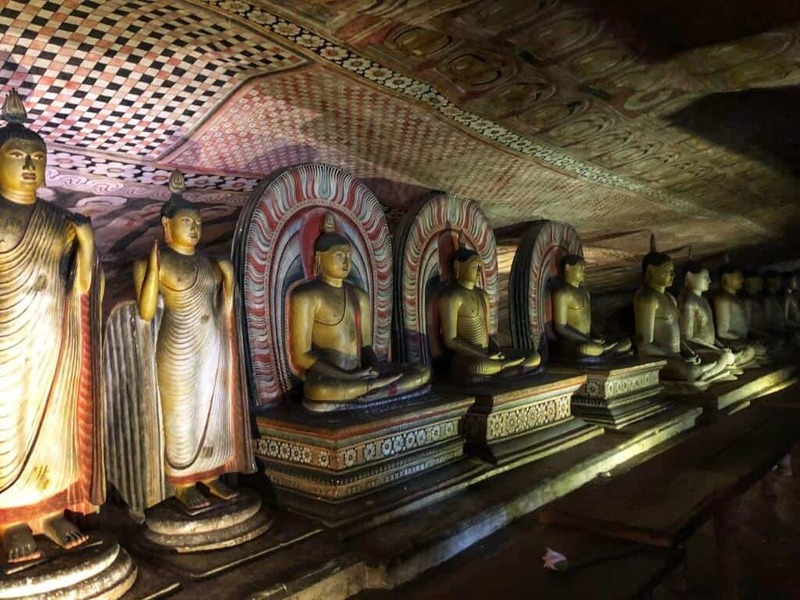 A very short tuk tuk drive form Jetwing Lake is the Dambulla cave temple. I highly recommend you go and have a look around if you are near the area because they are amazing. There is a 20-25 minute climb up stairs to get to the temple so i wouldn’t recommend bringing a push chair. My son only walked up 4 of the stairs before he demanded to be carried! However, we were rewarded with the most amazing temple at the top. There are several caves to visit, all of which are well lit, nice and cool. A local suggested walking in on opposite side on our descend. This was so we could also visit the Golden Buddha statue. This was a great tip as the journey up was about half the distance to going down. The Golden Buddha in Dambulla is huge and quite a contrast to the cave temples. 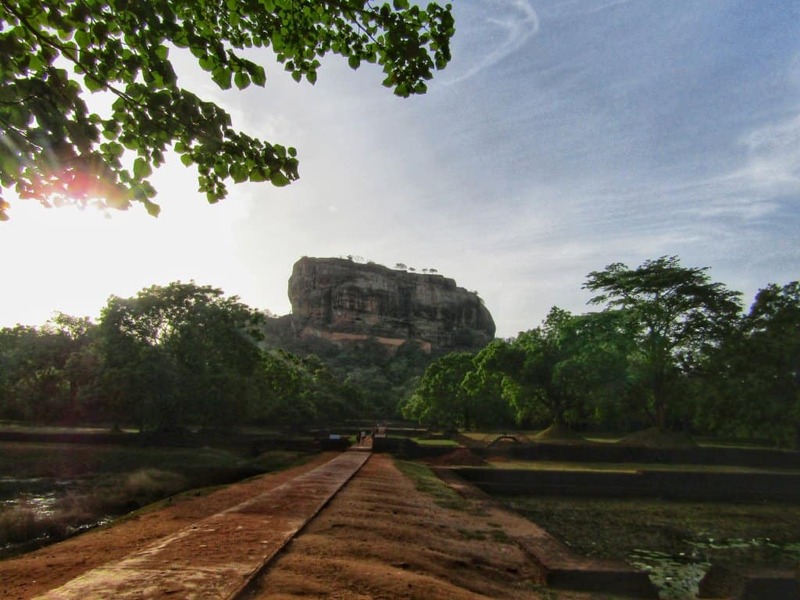 When planning this trip I knew I wanted to climb Sigiriya, also known as Lions Rock. Initially we had planned on doing the climb as a family. Once I did some research, I realised other families with small children had managed it. There are 1200 stairs to reach the top, so, I knew it would be slow progress. However, after our son chose not to walk up the majority of the stairs at the cave temple, we were having doubts. I put the question to the Travel Mad Families community on facebook. I received loads of messages and photos, with a rough 50/50 split in advice. We decided to go for it and take him with us. For some unknown reason he was up most of the night before out trip. When the time came to get up and leave, he refused to wake up. We took it as a sign that it was not meant to be and I went on my own. We had been advised to get their early in the morning to do the climb. It would be cooler and quieter to climb when the gates opened at 7am. There were a few people at that time of the morning but otherwise it was empty. I did the climb with a few stops in just over 30 minutes. I m guessing it would have taken at least an hour with our son. There were sections of the climb where the stairs and walk-way were bolted to the rock, so, I am pleased we were not carrying him. If you are heading to central Sri Lanka I would definitely recommend doing an elephant safari at Minneriya National Park. We had a private jeep with Minneriya Safari Tours which collected us from our hotel. After a very bumpy 20 minute drive into the national park, we were treated to over 200 elephants next to the lake. A word of caution, there were lots of other jeeps so it did feel quite busy. That said, the jeeps kept their distance from the elephants and they did not seem bothered by the cars. 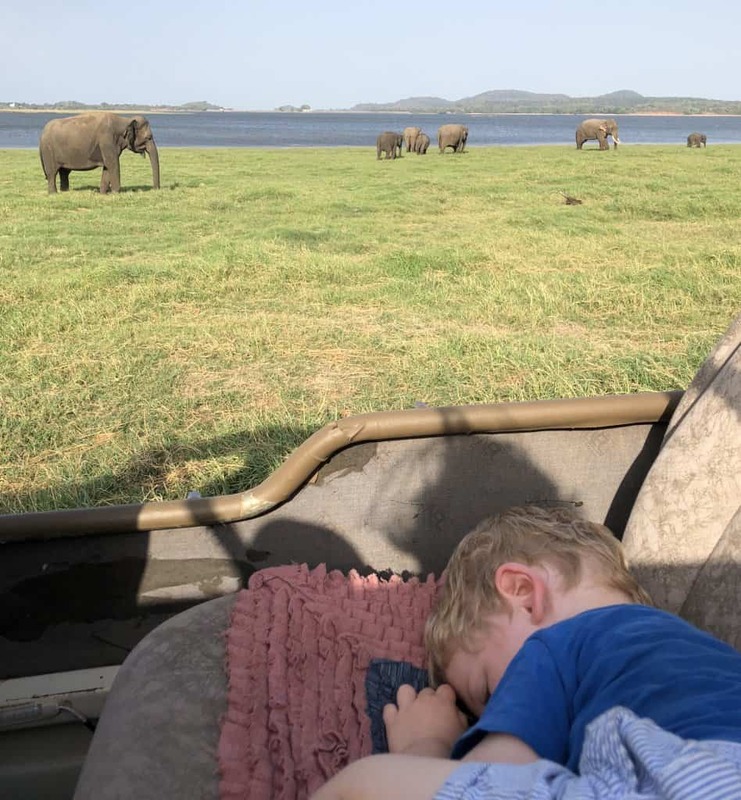 My son Bruno used the first half of the safari to have a nap, it seemed any mode of transport was a good place to sleep on this trip! A safari is a far better way to see elephants in Sri Lanka than in captivity. As we all know riding elephants is not ethical. A further 2 hour drive completed our itinerary to the East coast. Pasikuda Beach is absolutely stunning. It’s a wide, golden sandy beach with shallow water. The summer months are the best time to visit the East coast, the sea is calm and the weather is far drier that other parts. There are many resorts on this stretch of beach, however, they have been developed in a sympathetic way away from the coast line. Given the number of resorts, I was expecting the beach to be busy, but it was almost deserted until early evening when people came out for a walk. 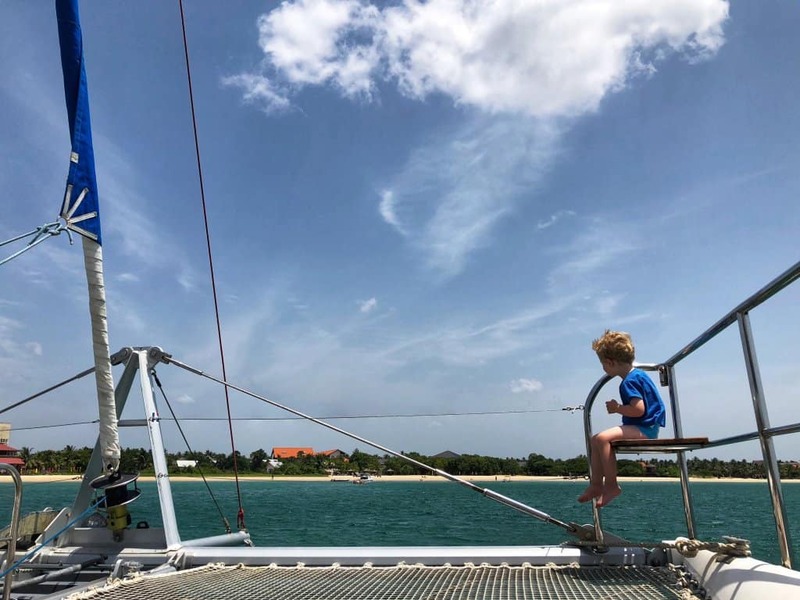 Sitting in Pasikuda bay was a large catamaran so decided to take a 3 hour sailing trip with Sail Lanka. Initially we had planned on doing a sunset cruise but it was too windy in the afternoon. We were collected at 9am on the beach and taken to the catamaran where 2 other families joined us. It was lovely to see so many children on the boat. It was such a family-friendly activity in Sri Lanka. We sailed for an hour, dropped an anchor, before having a swim. We were treated to fresh fruit and snacks before sailing back to the bay. The boat is in immaculate condition and the crew incredibly helpful. 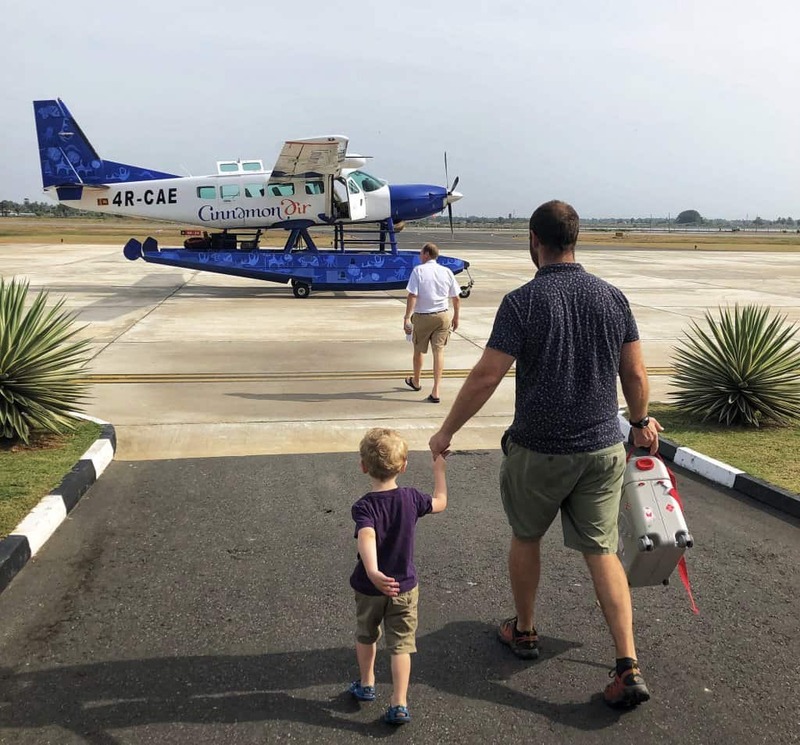 We decided to use internal flights in Sri Lanka to get back to Colombo with Cinnamon Air for a few reasons. Firstly, it would have been a 6+ hour journey in the car. That is no fun with a toddler! Secondly, I knew it would be an amazing experience and I was not wrong. When I booked the flight I had no idea we would be the only passengers on the plane. It was expensive, however, it was one of the highlights of our trip. We would have loved to have taken the train more on this trip but it just didn’t work out. Had my son been a bit older there is no doubt we would have used more public transport. We only got to see a fraction of what Sri Lanka has to offer on this trip, there is no doubt we will be back again. Have you enjoyed reading this post about a Sri Lanka itinerary East Coast? Leave us a comment, we love hearing from you. Disclaimer: This post has affiliate links. We stayed with Jetwing Hotels at a discounted rate in return for inclusion in this review. We enjoyed Sail Lanka and Minneriya Safari Tours complimentary in return for a written review. As always all views expressed are entirely my own. 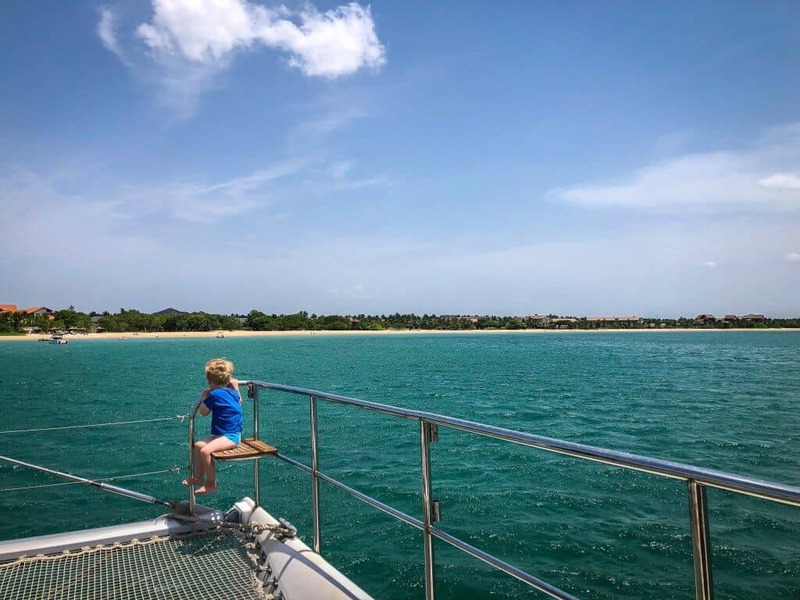 The post SRI LANKA – AN ITINERARY TO THE EAST COAST appeared first on Travel mad mum.